Happy Monday! Have some of you started your summer breaks yet? I imagine you have. Here's we've still got two weeks of school left. My daughter and I can't wait for summer break. Hope you're enjoying yours. First I have a bunch of winners to announce. The winner of DJINN: THE BINDING STONE is Danielle H! The winner of LOKI'S WOLVES is Ann Finkelstein! The winner of HOW TO BE ALMOST FAMOUS IN TEN DAYS is Rosi! The winner of DELIRIUM is Martha Ramirez! The winner of DELIRIUM STORIES is Romance Book Haven! The winner of TRANSPARENT is Steve MC! The winner of THE EMERALD RING is Tyrean Martinson! Congrats to all the winners! Please e-mail me your address so I can send you your books. You must e-mail me by the end of Wednesday or I'll have to pick another winner. Today I’m thrilled to have Merrie Haskell back to share about her new book, HANDBOOK FOR DRAGONSLAYERS, which was released on May 28, 2013. I loved her first book, THE PRINCESS CURSE, a retelling of “The Twelve Dancing Princesses.” I just got HANDBOOK FOR DRAGONSLAYERS and can’t wait to read it before I have to give it away. You can read Merrie’s first very popular interview HERE. Hi Merrie. Thanks for joining us. 1. Tell us how you came up with the idea for this story. I have a writing process that works well for me, in which I get this central, compelling, emotion-laden moment that comes to me in a flash, and I work to unwind the book from there. The unwinding is the fun bit, but it's also the work—but it's hard to unwind without a central spool. In THE PRINCESS CURSE, the spool was Reveka's invisibility cap being plucked off her head in the Underworld. In my next book, the spool was a boy awakening in a fireplace. It takes me a while to unwind that image, and then I write the book very quickly after about a year or so of marinating in all the possibilities. HANDBOOK FOR DRAGON SLAYERS, of course, decided to be very different—I've been told that second books are like that. I had about four spools. I had an image of a dragon in a cave wearing a golden crown, holding out a silver cup of water. I had the idea an evil elf knight ready to marry and kill his eighth wife. I had a vision of being in a castle high above a great river. I had a piece of a fairy tale, "The Princess on the Glass Hill," where three metallic horses absolutely destroy a field but then are tamed. It was much harder to weave these all together than it is to unwind a single spool, but it seemed that they were all related. Let me tell you—when the next book came out with just one spool, I was really relieved! 2. That’s such an interesting way to come up with story ideas. And it sounds like you think about the idea for a long time before starting the first draft. Tilda sounds like fantastic character—independent and brave. I read that she has a deformed leg and uses a cane. And that you never sugarcoat her disability. What made you decide that Tilda should be disabled and what challenges did this cause in creating her as a character? I had just passed the tenth anniversary of my dad's death. There was a lot of distance in our relationship, unfortunately, and at ten years past his death, I was feeling lesser because of my lack of connection with my father. He was born with a clubfoot, and I had just gone in for a surgery consult on my own foot (different issue). I was told that surgery would basically not be a cure—if anything, it might end up causing me a great deal more pain in the short run, and being right back where I started in the long run. Since I was dealing with the notion of living the rest of my life with chronic pain, and it was a problem not totally dissimilar to a clubfoot, it seemed like an opportunity to explore that very tiny link between me and my father. Besides which, I was frustrated by the things I couldn't do—and didn't want to do—with my foot! I tend to work through my frustrations by downloading them onto my characters. The biggest challenge this made was keeping her proactive in the face of some physically demanding moments. And not forgetting about the issue, as well, during action/excitement; when my adrenaline is high, I have found that I forget about my pain issues—or backburner it so deeply it's like forgetting--but I always pay for it on the other side with over extension. 3. Sorry about your foot issues, but it’s cool that you were able to draw on them and feel a bit closer to your dad by having Tilda share this challenge. Share a bit about your world building for this story. Did you draw on any of your extensive research for THE PRINCESS CURSE in creating your setting here? definitely put me in a different arena of technology and social structures. I think the most challenging thing to present was the intricacies of the Germanic power/political structures at the time without boring everyone to death and yet trying to acknowledge that the 11th century in Germany was quite different than the view of the European Middle Ages that we are all taught in school. The German ministeriales ("unfree knights") were so very unlike our usual view of knights. An unfree knight had social rank and status and money—but he wasn't free to choose his own spouse or alliances or fights or heirs. Tilda is free, however, and an heiress, and most importantly, a female—her children will be free, no matter her husband's status. Freedom was passed matrilinearly, though one's vassalage was determined by your father's bonds of vassalage. There is a background view of all this in the book, but I'm sure it doesn't come through with any real nuance. It just can't, in a book this short with already so much going on. 4. Wish I could take a class from you on how to research. You’re really thorough in getting a handle on the time period you’re writing about. This is your second stand-alone story. Why do you like to write stand-alone novels vs. a series? I wouldn't say it's a liking stand-alones thing—it's more a "what my publisher wrote the contract for" thing. There are lots of advantages to writing stand-alones, I'm sure, but sometimes I feel like I'm the only person I know who is writing them! 5. Well, if you want to write a series, I hope you can soon. You’ve been an author a little over a year. 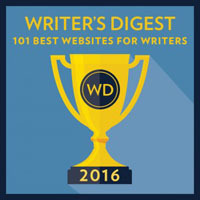 What surprised you about your first year as a published author? 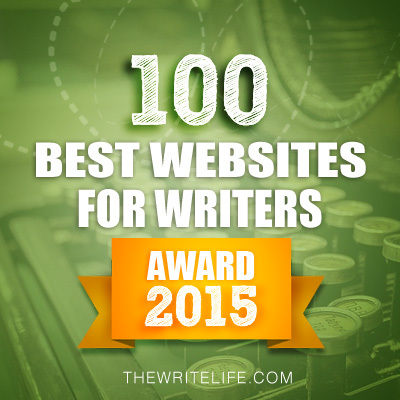 I had seen a lot of friends and acquaintances go through the debut author year from afar. What I hadn't appreciated when I was starting out was how unconfident you feel the further along you go. A few friends had stated the envy they felt for the not-yet-published. I remember thinking when I heard that something along the lines of "Yeah, right." But the freedom to write whatever you want, whenever you want? That's golden. I think the biggest problem you have when you're still unpublished is the not knowing WHEN and not knowing IF. If someone told you, "Yeah, for sure, you will get published"—like, the week you start your first NaNoWriMo, then it would help a bunch. 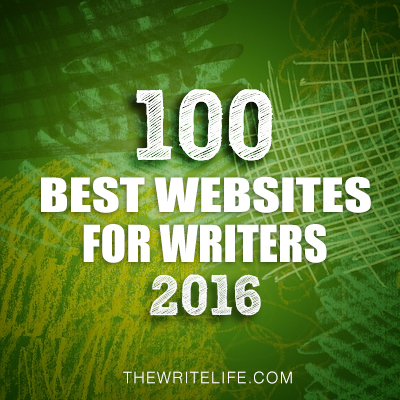 Likewise, if we knew the day we started NaNoWriMo that we would be published in ten years—well, that would chafe, but at the same time, you'd think, "I just gotta hassle out my ten years." But of course we don't know that, so when we're unpublished, many of us—most of us?—spend all that time fretting and champing at the bit, and just wishing we had debut author problems. I'm not so far removed from it that I forget that. But at the same time, I've written two MG novels in two years, and absolutely nothing else. I used to write other things. I used to experiment. I used to write short stories, and science fiction, and adult novels, and all kinds of things. So I miss that, intensely, and it surprises me. 6. I think one of the scariest things of getting published is having a certain book to write on deadline. So I get what you’re saying totally. I know you work full-time and have a family. So getting in writing time and time to market your book is a challenge. Are you planning to do anything different to promote this book than you did the first time around? What and why? The promotion plan is largely unchanged, really. Promotion in Middle Grade books is quite different than in YA. I can't reach my readers directly. I can reach out to librarians and sometimes parents, as well as the occasional YA book blogger who is willing to read younger (and thank you to Literary Rambles for being one of them!) , but that's about it—so I try to be an enthusiastic Tweeter, to give away books to libraries, to do some low-key contests, and so forth. I probably need to promote this more, but if a book-group or a class reads my book, I will Skype with them for free. Ultimately, though, I have such a tight schedule that I have to drill down and do the work first, concurrently with the dayjob and the family, and promotion is allowed to squeeze into the interstitial spaces. I have done enough with marketing in my dayjob to realize that there are ways and ways to market, and there are diminishing returns to overdoing it, so I don't really sweat it as much as I could. Or even possibly should, since I don't actually know what overdoing it entails. 7. If I ever have a book to market, I’d love to learn how to reach out to libraries effectively. What advice on social networking and marketing do you have for the rest of us for when our book releases? When I do something that's supposed to be promotional, I ask myself—will it actually reach my intended audience, or is this just going to be shouting into the void? Also, be the kind of person on social media that you want to follow. 8. That last sentence is such great advice. What are you working on now? I just turned in my third book, tentatively titled THE CASTLE BEHIND THORNS and until copyedits come back, I am working on proposals for new books. Thanks for sharing all your advice, Merrie. 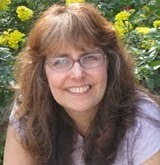 You can find Merrie at http://www.merriehaskell.com; on Twitter, she is @merriehaskell. Merrie generously offered an ARC of HANDBOOK FOR DRAGONSLAYERS for a giveaway. To enter, all you need to do is be a follower (just click the follow button if you’re not a follower) and leave a comment by midnight on June 15th. I’ll announce the winner on June 17th. Tomorrow I have a Tuesday tip about going to festivals and fairs by debut author Sandy Carlson, a friend I know from SCBWI. And she’ll be giving away a copy of THE TOWN THAT DISAPPERED, a MG historical fiction story set in a Michigan small town in the 1870’s. 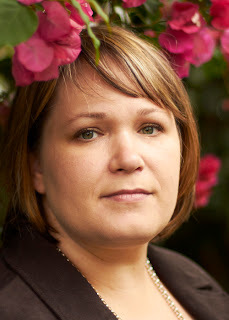 Next Monday I’m interviewing Dianne Salerni and giving away an ARC of her new book, THE CAGED GRAVES. It’s a historical novel filled with mystery, paranormal elements, and romance that I really enjoyed. 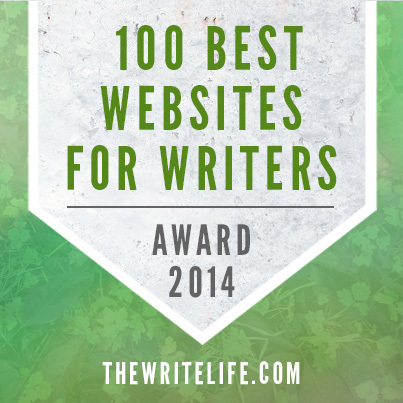 Dianne’s one of my writing heroes and I’m thrilled to interview her. Next Wednesday, I’m interviewing Marissa Burt and giving away a signed copy of STORY’S END, the second book in her middle grade fantasy series. I loved that Una goes into the world of Story, where fairytales are created. And it’s a fast paced story filled with escalating problems for Una and her friends. Marissa does a good jog explaining things so you’d understand the story even if you hadn’t read the first book. The following Monday, I’ll be interviewing Elana Johnson about her new book, ABANDON, the final book in her series. Elana totally blew me away by telling this story from Jag’s and Zenn’s point of view. I can’t believe I love it as much as SURRENDER, the second book in the series, which is one of the best sequels I’ve read. Elana is going to share her reflections on her first three years as a published author. And her publisher, Simon Pulse, has donated a copy of POSSESSION, SURRENDER, and ABANDON for a giveaway. Tuesday that week, I have a Tuesday tip from Rosanne Perry and giveaway of her new book, WRITTEN IN STONE, a story about the Native American tribes in the Pacific Northwest in the 1920’s. She’ll be sharing tips on how to write a multicultural story. Congratulations to Merrie! This sounds like a fun book. 2 completed books in 2 years plus a full-time day job, family, etc. - that's impressive, inspiring, and daunting! I actually prefer stand-alone novels for myself, although my middle-grade daughter loves to read series. 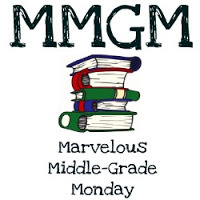 I adore middle grade, especially fairytale MG. Count me in to the giveaway! Also adding this to my Goodreads list so I can find it again. Great interview and advice from Merrie! It's so much fun to hear about the first year of being published and I especially liked hearing about how marketing for MG is much different than marketing for YA :) And I love the new cover! Sounds like a great story and I love the bit about how lack of confidence still plagues (or plagues in a different way) after publication. I admire how she is able to sort through her real life hurdles by transferring them to her characters. I wish I had that strength. What a terrific interview. I really like the premises and titles of your work, Merrie. My first novel was m/g fantasy. I appreciate your journey and tips. Thanks. Natalie, you have some busy week coming up! I must drop in as much as I can. Omg. Never heard of this book before now, but that cover is GORGEOUS! Ahh. I want it! Sounds amazing too :D Thank you for the awesome interview and post. <3 Would so love to win this book. Great interview. I love the premise--fine, I'll fix you! And that cover is fabulous! I'm one of those crazy people who adore stand alone books. I prefer companion titles to series. You cover is brilliant, it makes me want the book yesterday and to read it with my daughter. Best of luck to you! I've been reading a lot of MG books about dragons lately. They make for fun characters for young readers. Thanks for the giveaway! And congrats to Merrie! Wow, that "flash" sounds super familiar! And I write retold fairy tales too, so maybe we grew from the same seed. :) Really interesting about the difference between marketing for MG vs. YA, too--I never thought about that, but what was said here makes total sense. Merrie's writing process sounds really interesting, including the fact that she "marinades" in the idea for about a year before writing it! Hmm. That seems like a long time, but now that I think about it, I've probably done the same thing! First, thanks for drawing my name for HOW TO BE ALMOST FAMOUS IN TEN DAYS. I'm really looking forward to it. What an interesting interview. I understand about letting an idea marinate for a long time. 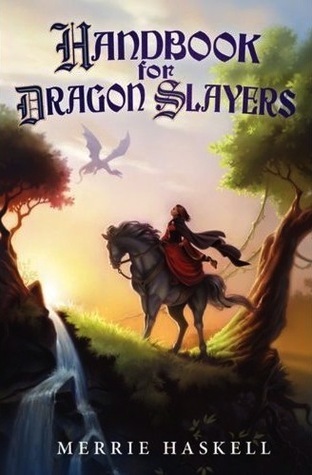 I love the cover of Handbook for Dragon Slayers. Just great. Thanks for such an interesting post. That's how I get ideas for books too. At least the good books. It all starts with a single image, a single character, but that image is a seed and the plant that grows from it is amazing. Congrats on the book, it sounds like a great read! I'm all for standalone novels. A lot of times series feel never ending or the middle of the trilogy sags. If your standalone novel is great, I'll definitely read the author's next book. I really appreciate what Merrie had to say here about what you give up in becoming a published author with work under contract. As grateful as I am to have found a publisher, I miss the freedom to write broadly and experiment wildly. Sounds like a great book! Best of luck with it! Interesting interview. And it sounds like Merrie's research definitely paid off. I like the idea of a society that gives women more freedom, because in a way that often means the female MC has more paths she can cross in the story. Wonderful interview Natalie and Merrie. Merrie, you shared some great information that I will certainly refer back to for future reference. Wishing you the very best, Merrie, with this and all your publications. I love the book cover! This would definitely attract me on the store shelves. 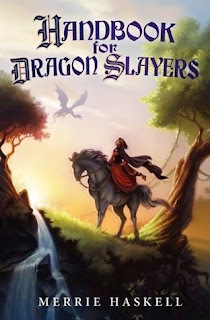 I would love to read Handbook for Dragon Slayers and win a copy. Thank you! I will post on Facebook. Thanks! What an interesting interview. 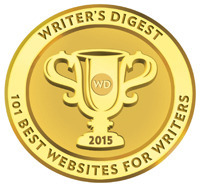 I love hearing about other writer's processes, both for writing and promoting. Best of luck to Merrie with this new book! I love books about dragons. Rachel Hartman's Seraphina was one of my favorive books in 2012. I just put a hold request on our library's digital copy of The Princess Curse. I love dragon books. Would love to read this book.